The case in question pertained to the recognition of courses of Dr. Hedgewar Smruti Rugna Seva Mandal, Hingoli & Ors. by the Dental Council of India, yet the case indeed represents the story of most medical and dental colleges in the country. In January 2016 the Council decided to carry out the physical assessment of the dental college in order to ascertain the infrastructure, clinical material, teaching faculty etc. Again deficiencies were pointed out and compliance report was asked to be submitted. In February, the college submitted that deficiencies had been removed. The college verified the compliance and recommended the GOI not to give permission to the college and consequently in March Government of India (GOI) disapproved the scheme of the respondent-college for starting MDS course in the specialty of Orthodontics and Dentofacial Orthopaedics for the academic session 2016-2017. The college knocked on the doors of the High Court, where the vacation bench stayed the Government of India order of March adding that the college shall intimate the order passed by this Court to the students who are intending to take admission for M.D.S. course in Orthodontics and Denotfacial Orthopaedics. …..the order amounts to granting permission for the admission of students in certain courses in a college which had not received approval. There may be a case where the court may ultimately come to the conclusion that the recommendation is unacceptable and eventually the decision of disapproval by the Government of India is unsustainable. But the issue is whether before arriving at such conclusions, should the High Court, by way of interim measure, pass such an order….. The court went on to add that such types of orders should be avoided as they create chaos. it is perspicuous that the court should not pass such interim orders in the matters of admission, more so, when the institution had not been accorded approval. Such kind of interim orders are likely to cause chaos, anarchy and uncertainty. And, there is no reason for creating such situations. There is no justification or requirement. The High Court may feel that while exercising power under Article 226 of the Constitution, it can pass such orders with certain qualifiers as has been done by the impugned order, but it really does not save the situation. It is because an institution which has not been given approval for the course, gets a premium. That apart, by virtue of interim order, the court grants approval in a way which is the subject matter of final adjudication before it. The High Court has to realize the nature of the lis or the controversy. It is quite different. It is not a construction which is built at the risk of a plaintiff or the defendant which can be demolished or redeemed by grant of compensation. It is a situation where the order has the potentiality to play with the career and life of young. One may say, “… life is a foreign language; all mis-pronounce it”, but it has to be borne in mind that artificial or contrived accident is not the goal of life. There is no reason to invite a disaster by way of an interim order. A Judge has to constantly remind himself about the precedents in the field and not to be swayed away by his own convictions. When it comes National issues or issues related to Apex body ( bodies). The high courts should stay away . Only the Honourable Supreme Court should interfere in such issues. Just imagine the interference of lower courts in the matters related to High courts. Highly qualified , experienced, experts are Concerned with the affairs , especially selected by the Government of India , or experts in that particular field selected by other experts in that field. Unfortunately some of the mischievous colleges just to buy some time / to postpone the events manage to file the case in High Court with the help of Famous Advocates at an exorbitant price. Which is nothing but delay tactics. By which they try and get admission for that academic year. And at the fag end of their career , more likely to do such things . since there is no impeachment / impingement on the Judgements. ( Judges). Such things are more likely to happen. Some of the advocates also look for particular bench which is act of injustice ,favoritism,discrimination. Instead of giving Judgment / Delay tactics , the courts should act with in the principles of Natural Justice to help the most deserving and honest individuals. We have to be careful , because the world is watching. And technology is improving day by day .May be coming days the individuals holding higher positions may be asked to under go brainmapping , lie detections etc.to avoid,prevent corrupt practices. That may even be made compulsory instead of taking oath which is a mere moral obligation in this morally bankrupt society where it is not easy to find honest and truthful people. The High Court has erred in allowing students to join the course . The students need to realise that they are continuing at their own risk. What has been left unsaid ,is whether the High Court should be held culpable for an erroneous judgement, as indeed we doctors are . For reasons best known to Courts, they are pronouncing ridiculous judgments, when it comes to Medical/Dental Education. Just last week, Chennai HC’s Division Bench has, on a petition of Saveetha University (Deemed), ruled that validity of admission of 36 MD/MS students is subject to constitutional validity of MCI’ s Regulation dated 10 March 2017. It has offered the 36 students if they would instead wish to join Govt Med Colleges. Bench’s pronouncement virtually amounts to arm-twisting the 36 students to coerce them to leave Saveetha. Court is seasoned enough to calculate that no student would prefer to keep his career in lurch by sticking to MD/MS seat in Saveetha if alternative are available now before closure of admission. Does the Court want the 36 students to leave Saveetha? Does the Court also want all those on NEET’s legitimate waiting list to avoid opting for the 36 seats, if vacated? Does the Court want the 36 seats, if vacated, to remain vacant till few seconds before the counseling cut off time? Is the Court not conniving with Saveetha Management’s objective of admitting candidates eager to ‘buy’ MD/MS seats? MCI’s Regulation of 10 March 2017 is in fact is a watershed in Private Med Education. Adopted pan-India, it has eliminated capitation fees & recognized the primacy of merit. Concomitantly, standard of medical education & health care would get a boost. Notwithstanding that ibid Regulation is intra vires of Article 19(6) of Constitution, it is inconceivability that experienced HC judges can interpret the intent Indian Constitution so parochially. 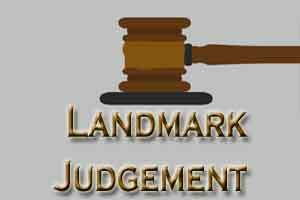 While delivering judgments, will the judges ever let conscious be their guide? everything in some hands and some minds is salable, depends who buys and who sales though whom at cost of Jugad of Lala, Baba and Dada. The cleansing at Nano level has just started so reach macro level, it will take centuries. Are we not on sale – during MCI inspection melodrama – students openly say \” Raat Ki Raniyan din mein bik rahin, ye aur aise hamare teachers from whom we learn day light robbery and dacoity – how to sell moral, character, values, ethics and professionalism – Dacoits preaching honesty, sincerity, dedication and devotion – majority are assembled broken pieces fixed by Fevicol/fevistic with hardly any functional senses\” Retired, Tired, Hired and fired – these items will give quality education of international standards. Admissions are BIG MONEY! So the HCs must be cautious.